Nestled between Bala Cynwyd and Manayunk, this luxury apartment community redefines what gracious living should be. With a private bridge giving residents access to Main Street Manayunk, nothing is out of reach for The Royal Athena, including a variety of beauty, fashion, and home décor stores, and countless dining options offering cuisine from around the world. 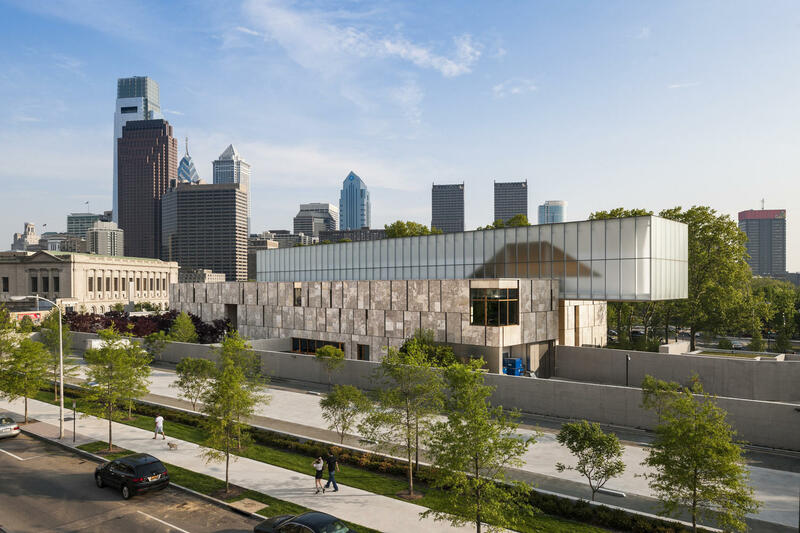 With a deep appreciation for the robust and influential art community of Philadelphia, Social Lite at The Royal Athena will be offering a small silent auction benefiting The Barnes Foundation. The Barnes is home to one of the country’s most legendary collections – an unequaled concentration of Impressionist and Post-Impressionist paintings (181 Renoirs, 69 Cézannes, 46 Picassos, 59 Matisses and hundreds of other masterworks) installed in a dense mix of Asian, African and American Indian art and artifacts, with decorative ironwork. The Barnes Foundation Corporate Council Program provides vital funding to offer free educational outreach programs to more than 8,500 underserved students in the School District of Philadelphia annually. Education outreach programs offered by the Barnes in the district challenge students to analyze art using curricular concepts that they already know or are currently learning in class. These methods not only reinforce curriculum, but also make art more accessible, less intimidating, and more relevant to students’ life experiences. All materials, transportation, and gallery admission is covered by the Barnes. Located in the heart of Manayunk, Bourbon Blue is the go-to destination for a weekend brunch to a fun night out. Enjoy a taste of the south with their authentic New Orleans flavor, delicious brunch cocktails, live lounge music, canal views, and the rustic charm of their revamped mill building. Accredited for their excellent service, fresh seafood selections, and elegant atmosphere, Zesty's offers a cuisine combo of traditional Italian, Greek, and Mediterranean fare and wine. Their extensive menu has been giving a new meaning to the word Greco-Roman since 1993. To truly understand a culture, you must indulge in their cuisine and there is no better way than with the Mexican street food at La Roca in Manayunk. Everything on their menu is certified fresh and ethically sourced in order to convey the most popular dishes from south of the border in their purest form. If you love craft beer, there is no doubt you will love the selection at the all new Bird Birds Brewing Company. Located just 30 minutes from The Royal Athena in Eagleville, PA, Bald Birds will be opening to the public at the end of August. Be sure to stop by Social Lite to taste a variety of beers they've been working on! With a range of salon and spa services, the stylists at Salon L will meet all your beauty needs with the quality of service you deserve. Committed to their goal of sending each client out of the salon satisfied and confident, Salon L provides fashion-forward ideas and tips to help you maintain your look at home. As a privately owned fashion landmark and premiere shopping destination in Philadelphia, Skirt has been in Bryn Mawr for nearly two decades. Their expert team of professional stylists hand pick items that feature the latest trends. Skirt believes that all women should have access to a personal stylist, not just celebrities! Pineapple on Main is a curated boutique of home décor and giftware dedicated to sourcing, supporting and showcasing products from local, ambitious artists. Started by a best-friend duo who left the big-box retail industry to become design consultants, Pineapple on Main features “all things home-related”. Spanning weddings, corporate events, private parties, and more, DJ Jamie Callen has been custom-fitting the perfect atmosphere for each event through music for over 20 years. He has appeared at countless venues from Valley Beach in King of Prussia to Mount Airy Casino in the Poconos. JALEN MILLS AUTOGRAPHED MINI HELMET! One lucky winner will be announced at the event to take home a Jalen Mills Autographed Mini Helmet, included with a certificate of authenticity. RSVP prior to event is required. Must be present to claim prize. Nestled between Bala Cynwyd and Manayunk, nothing is out of reach of this luxury apartment complex. Various dining options and international cuisines are within walking distance thanks to the Royal Athena's private bridge crossing over to Manayunk. Located in the heart of Manayunk, Bourbon Blue is the go-to selection for everything from weekend brunch to a taste of the south for dinner. At this new American restaurant, enjoy authentic New Orleans flavor, delicious brunch cocktails, canal views & a lounge with live music on weekends. In a casual setting with a bar & outdoor patio, Zesty's offers a cuisine combo of traditional Italian and Greek fare and wine. Nicole Miller Manayunk is privately owned fashion landmark and premiere shopping destination in Philadelphia. Committed to their goal to send you home looking and feeling your absolute best, the talented team of stylists at Salon L hold a reputation as leaders in the industry. Salon L offers a diverse range of services and sends you on your way feeling satisfied and confident with fashion-forward ideas and tips to help you maintain your look at home.